The annual STARTTS Refugee Ball has established itself over the past nine years as a key event in the social calendar of the community services sector in Australia, every year raising vital funds for and awareness of the work that STARTTS does to assist people who have survived torture and trauma. On the special occasion of our tenth anniversary of the Refugee Ball, we invite you to join us for a memorable evening of fine dining, live and silent auctions and an energetic mix of world-class live music and cultural performance as we come together to help heal refugee trauma and promote repsect for human rights. 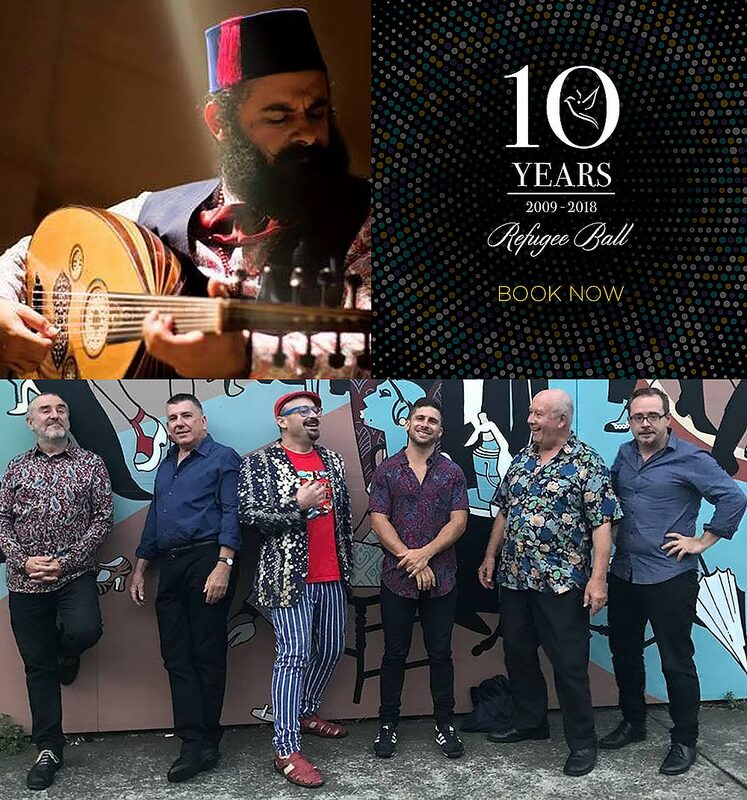 With a line up of dynamic guest speakers to be announced, the evening will feature a special performance by 4-time ARIA award-winning and world leading oud virtuoso and composer, Joseph Tawadros AM and live music by triple ARIA award-winning gypsy fusion group, Monsieur Camembert. This year, all funds raised at the Refugee Ball will go towards a vital rights based global campaign: Support Life After Torture. The Support Life after Torture Campaign is an initiative of the International Rehabilitation Council for Torture Victims (IRCT). The IRCT is a global network of torture and trauma rehabilitation centres – more than 160 centres in over 70 countries – that has been fighting for a world without torture for over 30 years. Together with its member centres, the IRCT leads a global movement striving for justice for victims of torture and the prevention of torture and refugee trauma worldwide also ensuring that torture and refugee trauma rehabilitation services globally are able to continue to provide vital medical, psychological and social services. The pilot of the global campaign was launched at the 2017 Refugee Ball and is managed by the NSW Service for the Treatment and Rehabilitation of Torture and Trauma Survivors (STARTTS), an IRCT member centre based in Sydney. Friends of STARTTS (FOS) is an Australian registered charity that supports the work of STARTTS (Services for the Treatment and Rehabilitation of Torture and Trauma Survivors) and refugee transition programs.